Posted: 2011.12.03(Sat)5:02 Post subject: Identify my fish...please! My name's Jamie, and I just got a new tank. After waiting a week, I just got some new fish today. But here's the problem: I'm a British expatriate living in Japan, and I couldn't tell what variety of fish I bought! I chose according to colour and whether or not I found the fish aesthetically pleasing. So please help me identify my fish! I think some of them are neon tetra, but I'd love to know what the black ones are. 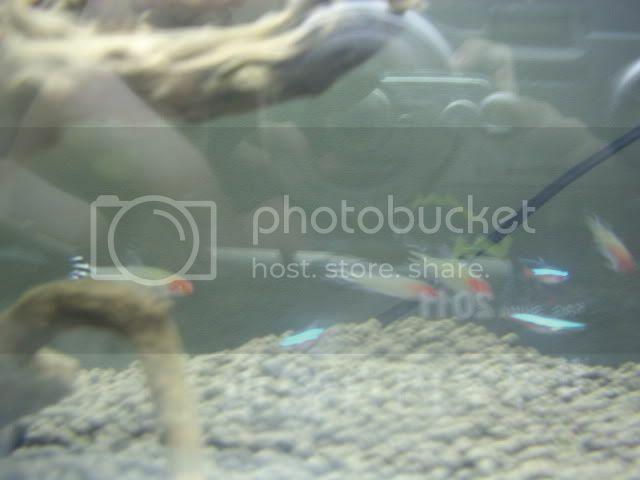 In the first photo, the red-nosed fish are rummynose tetras. 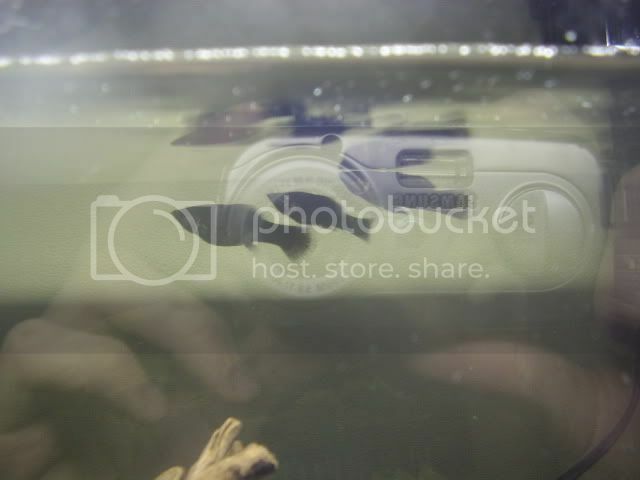 The fish in the second photo are black mollies, they are livebearers. They are common fish and you can find their information on this site and other popular fishkeeping sites. You have rummy nosed tetras and cardinal tetras and black mollies. You say you waited a week? If so most of these fish will probably die as the tank is not ready for sensitive fish. Please read the articles << about cycling. Do you know anyone with a healthy , mature fish tank? If so beg some of their filter media or the gunge out of their filter to seed your filter with the bacteria that break down the fish's wastes. Otherwise change 50% of the water every day adding dechlorinator to the new water and matching the tank temperature. You are not the first to make this mistake. How big is the tank? I am sorry to tell you but the tetras are likely to die. What fish is your best one? If you want to keep the tetras(cardinal or rummy nose) you need soft water, if you don't they die in a few months. If you want to keep the mollys the need a little salt in the water(1 tea spoon per 10 liters) and you need harder water. And pleas give your tank size. Just for the record (I know this topic is a little bit old, but I didn't want the misinformation sitting around): The hardness of the water is not a big issue for most fish unless you intend to breed them. Certain fish are more sensitive than others (discus being a prime example), but in this case, the water hardness is not liable to cause any problems. I've kept the same set of rummy-noses in my extremely hard tap water (pH 8.3) for seven years now with no health issues.